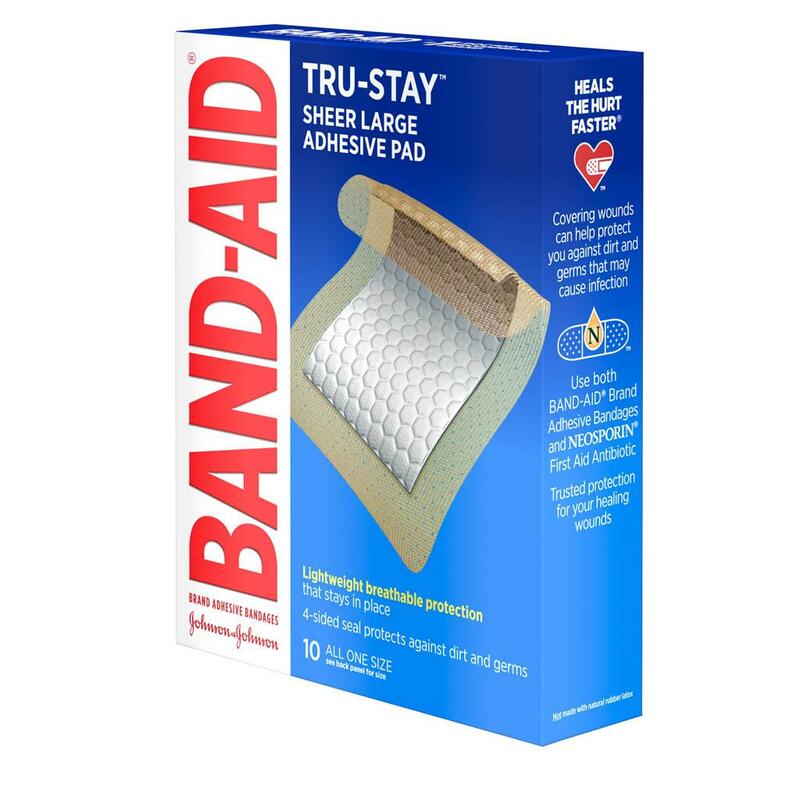 BAND-AID® Brand TRU-STAY™ Large Adhesive Bandages are designed to cover most minor wounds and provide dependable protection that stays in place. 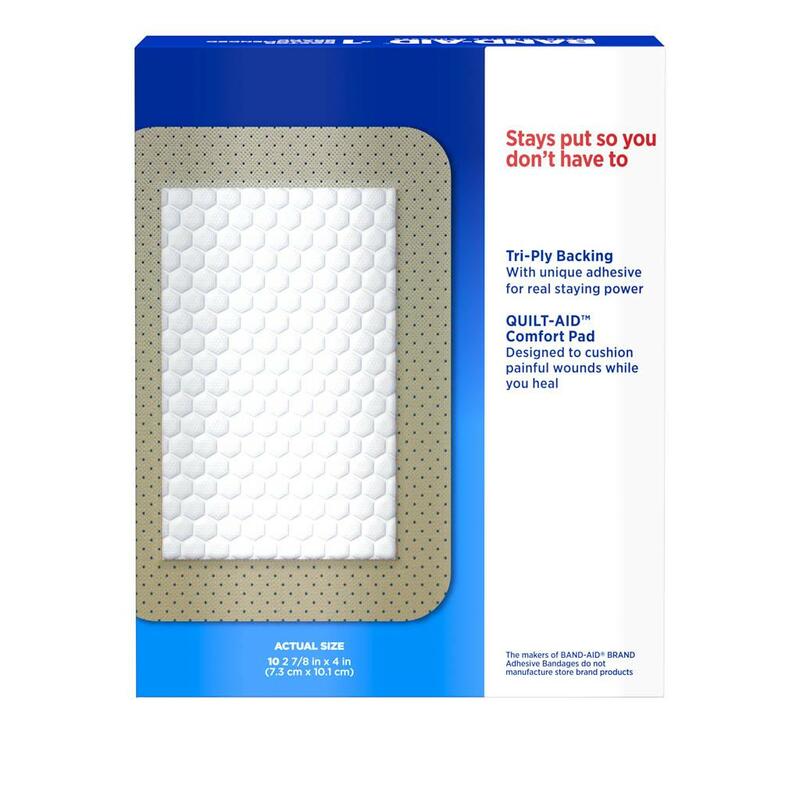 These large sterile bandages are made with a unique QUILT-AID™ Pad that is designed to cushion painful wounds while you heal. 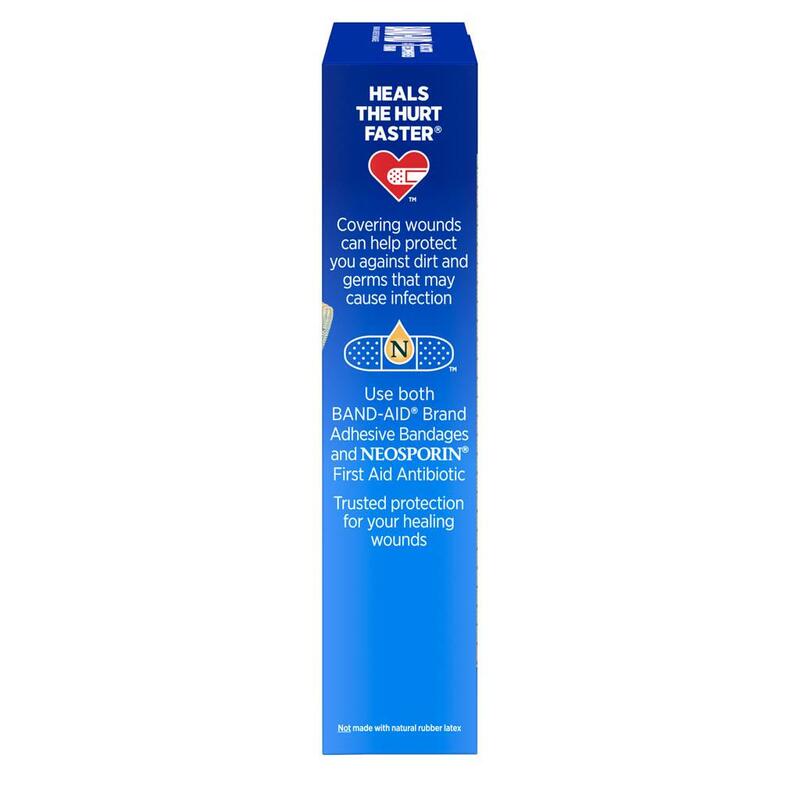 BAND-AID® Brand TRU-STAY™ Large Adhesive Bandages feature a 4-sided seal that protects against dirt & germs. 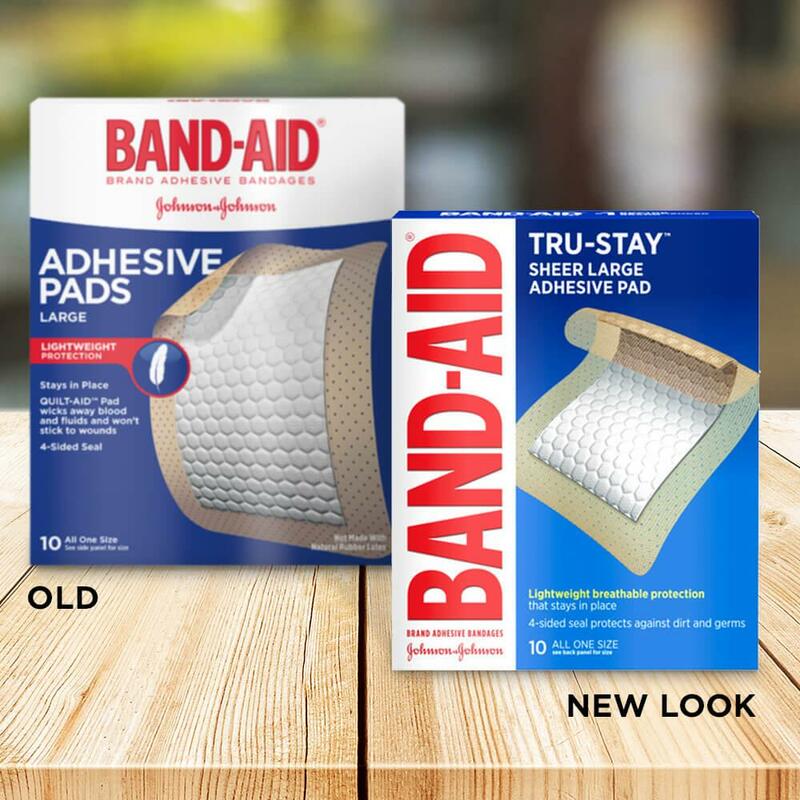 They are designed to stay in place, yet they each feature a HURT-FREE® Pad that won’t stick to the wound, allowing for gentle removal. This package contains 10 large flexible bandage pads. I use these band-aids to cover stitches on the outer aspect of my arm. They stay on all day and night. I even shower with it on my arm. It does not fall off when wet from the shower. 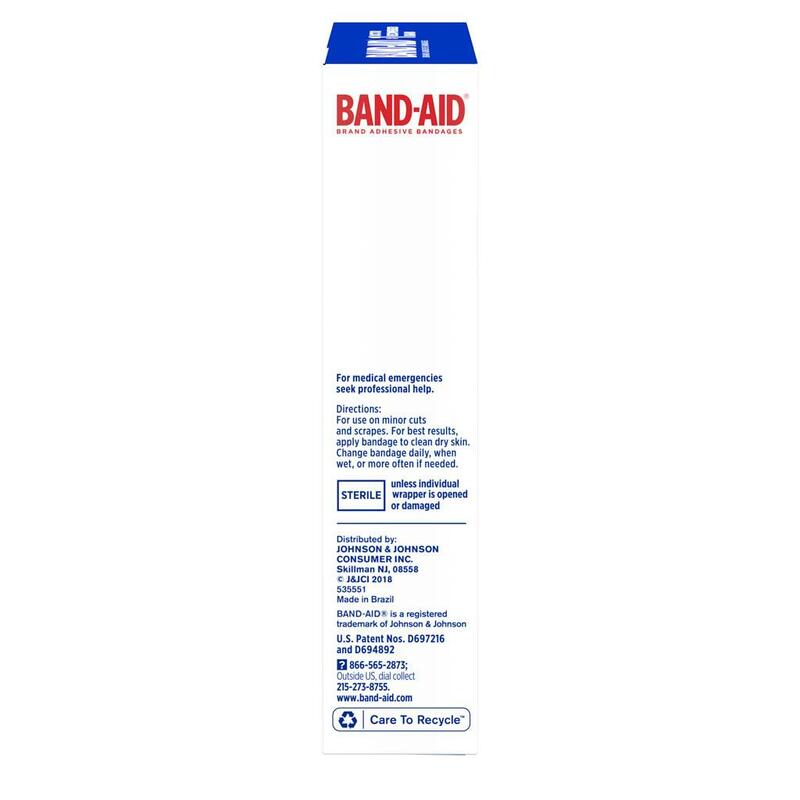 I do replace it daily to make sure the wound is dry. I am a picky person when it comes to bandage material. This is day 6 of using Sheer Large Adhesive Pads to cover the stitches on my thigh and it's doing a great job. I'm changing the dressing twice a day and for the past three days, my skin has become increasingly irritated around the edge of where the bandage's adhesive is in contact with my skin. Tonight I have little blisters and has become so sore that I've opted to try a different brand. I've never had this issue before with any adhesive, what's up. We appreciate you bringing this to our attention and we're sorry to hear you're having this experience. We'd like to learn more and see what we can do to help. Please call us at 1-866-565-2873, M-F from 9am to 5:30pm ET. Hope to hear from you soon! At first, it was wonderful. I used it to cover my stitches. Trying to get it off to look at my stitches was so painful!! It ripped off skin and pulled out my arm hair. Just use something else! We are sorry to hear that! We don't expect this from our Adhesive Pads, but we would love to hear more about your experience. Call us at 1-866-565-2873 between the hours of 9 AM and 5:30 PM ET, Monday through Friday. We hope to hear from you soon! I used them wrapped around the distal edge of my hand. They worked fine so long as I didn't wash my hands or otherwise get the bandages wet. As soon as they got wet, they fell right off. I found I could reuse them if I let them dry off first, provided the adhesive parts had not gotten folded over and stuck together. Nonetheless, the inconvenience and waste I experienced will prevent me from buying any more of these. We want to learn more about this. Please give us a call at 1-866-565-2873. We're available Monday-Friday 9AM-5:30PM ET. We hope to speak with you soon. Does NOT stay in place!! Within 10 minutes of applying to my wound it fell right off my leg and I found it on the floor. My leg was clean and dry and all I was doing was sitting in a chair, so there was no stress on the bandage. The little 1/2 inch of adhesive around the nonstick pad is useless. You need to redesign this product because it doesn't work well at all! I don't have money to waste and your product has wasted my money! Thanks for letting us know about this! We'd like to help. Please give us a call at 866-565-2873. We're available Monday through Friday, 9am to 5:30pm ET. We look forward to speaking with you!